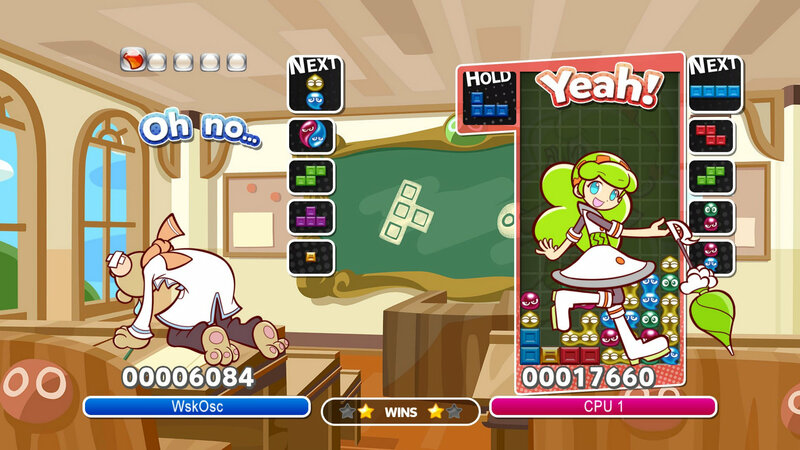 Puyo Puyo Tetris is the long-awaited mash-up of classic puzzle games Puyo Puyo and Tetris. Never could’ve guessed that from the title. 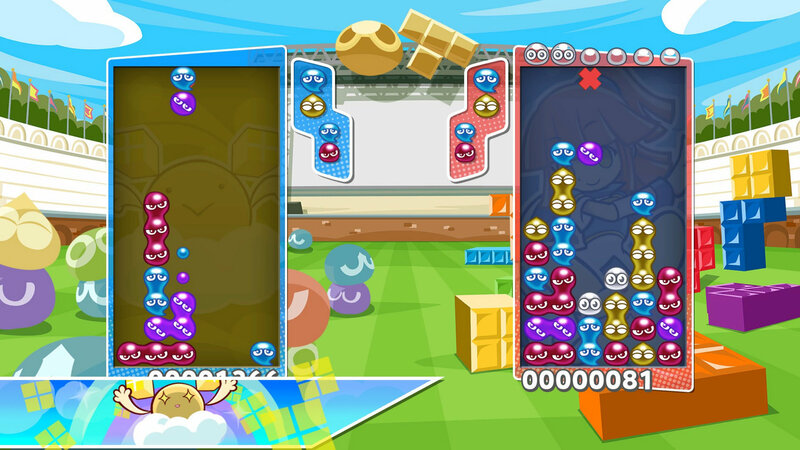 For those not aware; Puyo Puyo is a colour-matching game where players attempt to build chains of four coloured blobs to make them disappear and drop junk blobs on the opponent’s side. Tetris is the Russian classic that helped propel the Game Boy to astronomical sales and is a game of making lines with variously shaped Tetrominos. Both games have a long and prestigious pedigree on their own but does this meeting of puzzle-titans work or does it fall flat on its face? The answer’s a bit more complicated than yes or no. Let’s take Puyo Puyo Tetris to trial and pick it apart. 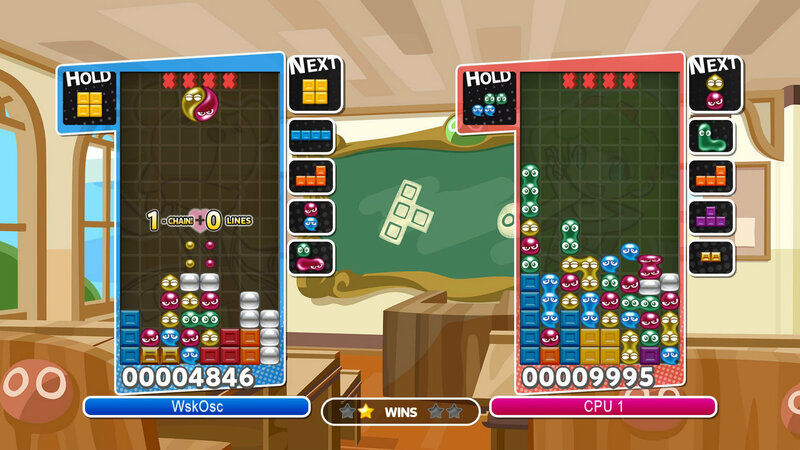 Puyo Puyo Tetris has an abundance of game modes, from classic Puyo Puyo and Tetris to playing them both together on the same board or switching out every 30 seconds to play simultaneous games of Puyo Puyo and Tetris. It’s all a little overwhelming to begin with but an excellently written adventure mode ramps up the difficulty gradually while introducing players to new modes and characters along the way. 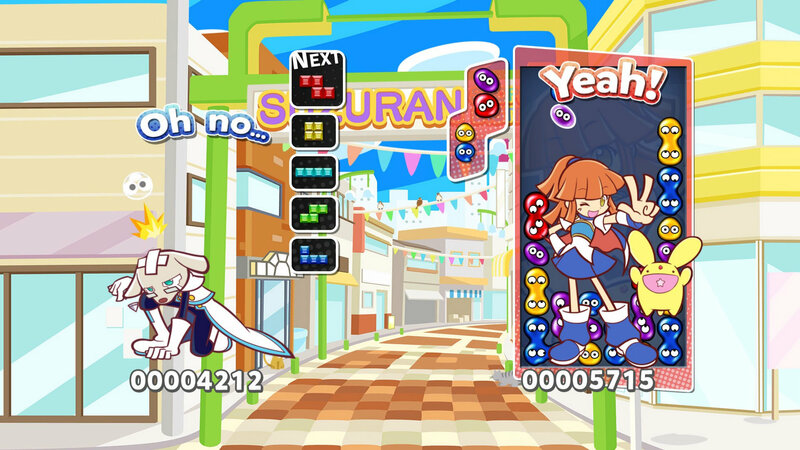 Simple Puyo Puyo matches give way to more complicated challenges as the story progresses and the AI difficulty ramps up too, quickly making the easy first act seem like a distant memory by the time you’re in act three and getting mercilessly destroyed by your opponents. 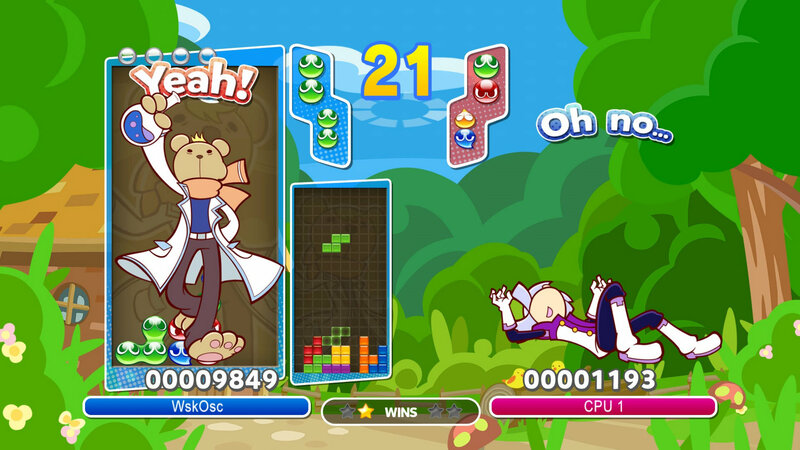 Adventure mode also has some genuinely funny moments as well established characters from the Puyo Puyo series of games collide with the Tetris crew often to bewilderment and friendly conflict. 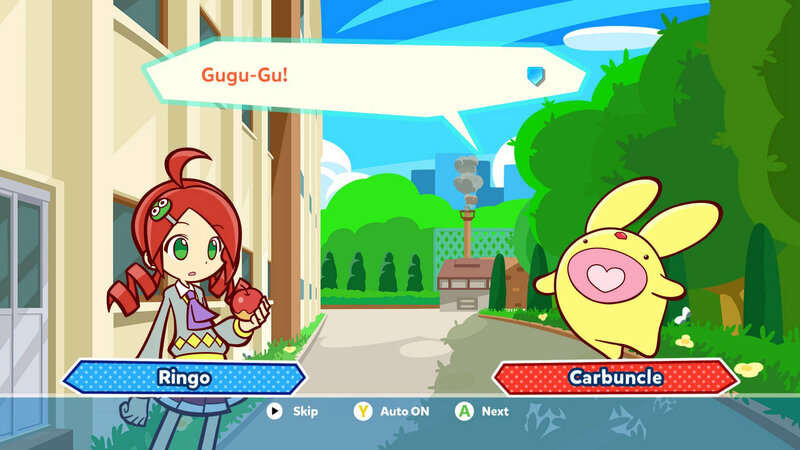 It’s all an excuse to play more Puyo Puyo Tetris and the silliness helps make the otherwise boring dialogue before each match tolerable. 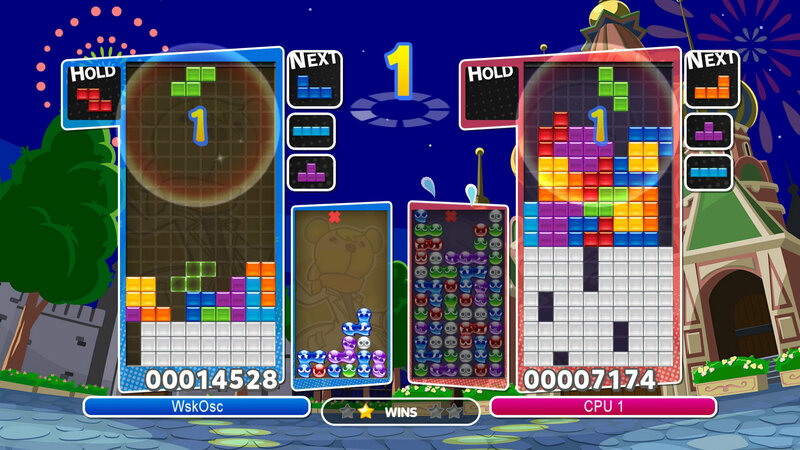 While we’re on the topic of difficulty – the AI is merciless in versus modes. When playing either straight Puyo Puyo or Tetris it’s incredibly competent and will take a relatively decent player to task in minutes. 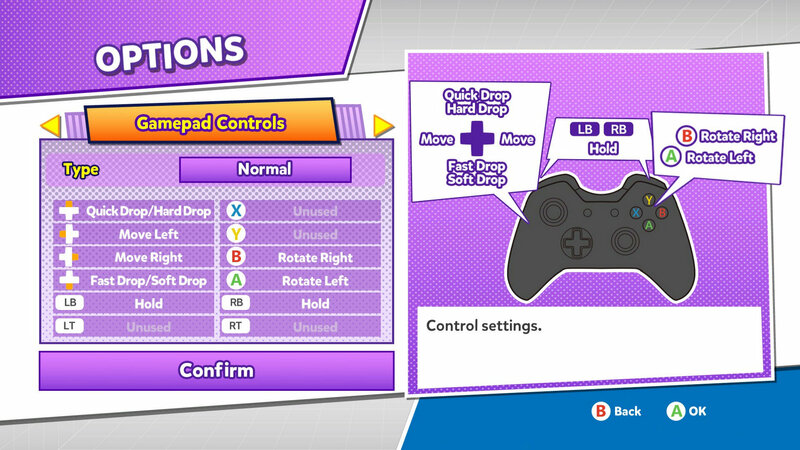 However it struggles with the more complicated modes, rarely taking advantage of advanced techniques to gain the upper hand and is especially easily overcome in Swap mode. That’s not to say the advanced modes are always a cake-walk, the AI will occasionally get a grip on what’s happening and put a swift end to your plans either with a well timed drop of junk pieces or a huge combo that will fill your half of the screen to the brim instantly. You can help mitigate this by placing a handicap on the AI or yourself if the game it too skewed towards one player or the other. Engineer Ai is frequently scared and yipping or whining. While all modes are available in single-player, local multiplayer, and online, it’s the latter two where the game really shines. 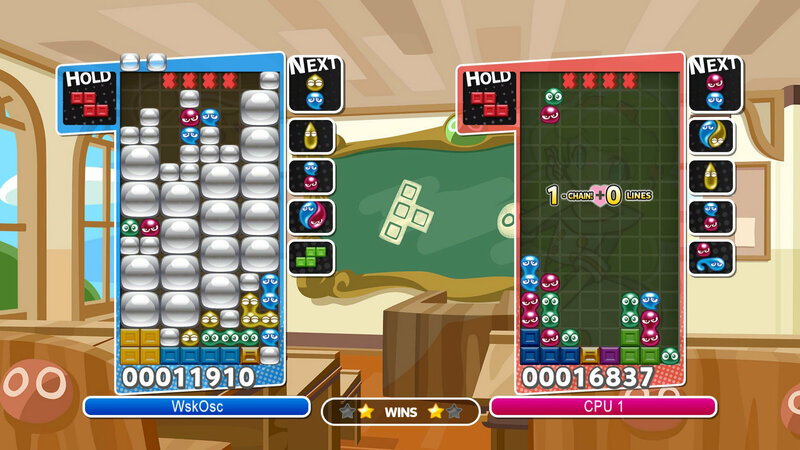 Playing against friends and strangers adds a new layer of excitement to the game and some modes like Party, which adds power-ups that hinder your opponent, are obviously intended to be played against a human opponent for the best effect. 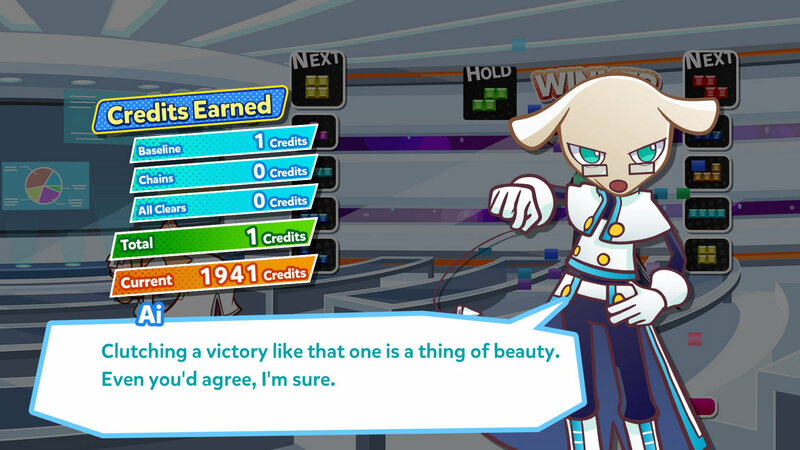 The game exudes charm in this mode and the range of self-righteous or piteous remarks from characters after a match concludes manages to usually diffuse any tension that might arise from a rough match. Even losing time and time again the urge to continue playing is strong; rarely are you outright crushed by an opponent and discouraged from trying again. 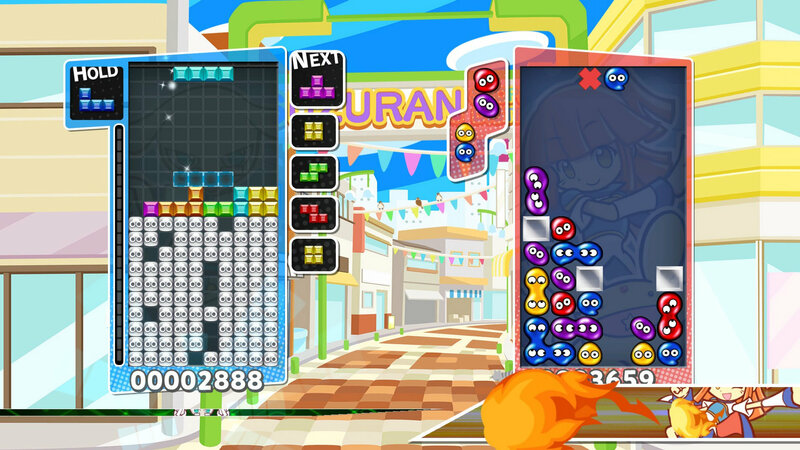 Unfortunately, there’s a slight imbalance in straight versus modes: Puyo Puyo players only need to match a single 4-Puyo set to drop some junk blocks on the opponent while a Tetris player needs at least a 2-line match for the same effect. 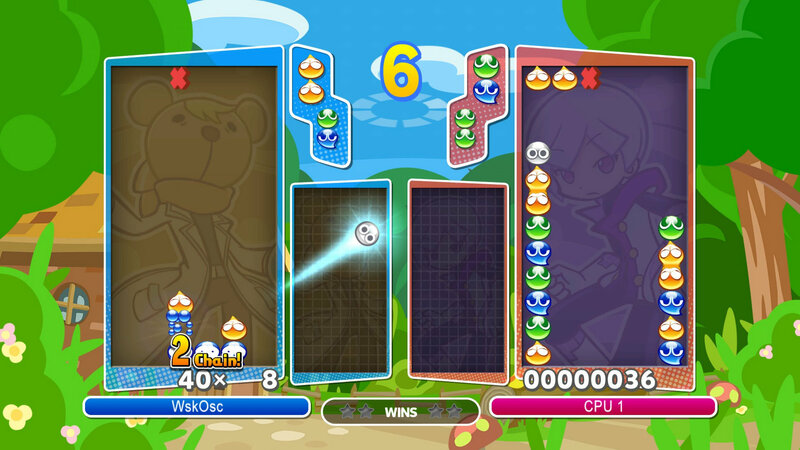 This skews the game’s balance in favour of intermediate Puyo Puyo players to a pretty significant degree. 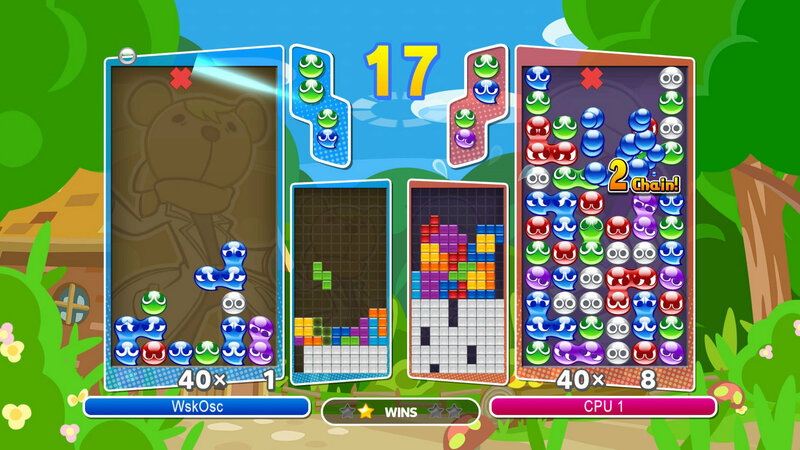 Tetris players may want to focus on constructing Tetris after Tetris (4-lines at once) in order to maximise their ratio of lines cleared to junk dropped but even this tactic will fall flat unless you’re incredibly fast at creating your Tetris as a Puyo Puyo opponent can just chip away at you on a more regular basis. 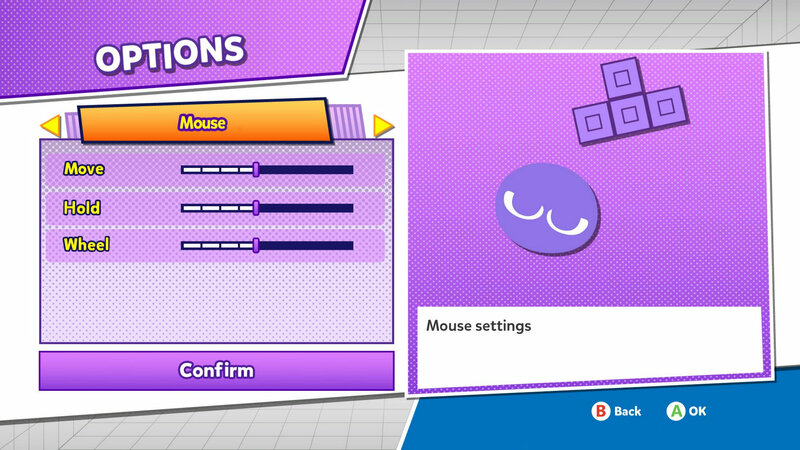 Surprisingly, this doesn’t ruin the game, if anything it pushes you to get better at your chosen mode and experiment with your weaker mode to learn. Swap mode victories often come a little too easily. 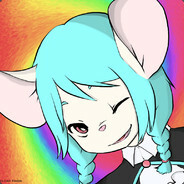 This one is a result of me holding back. 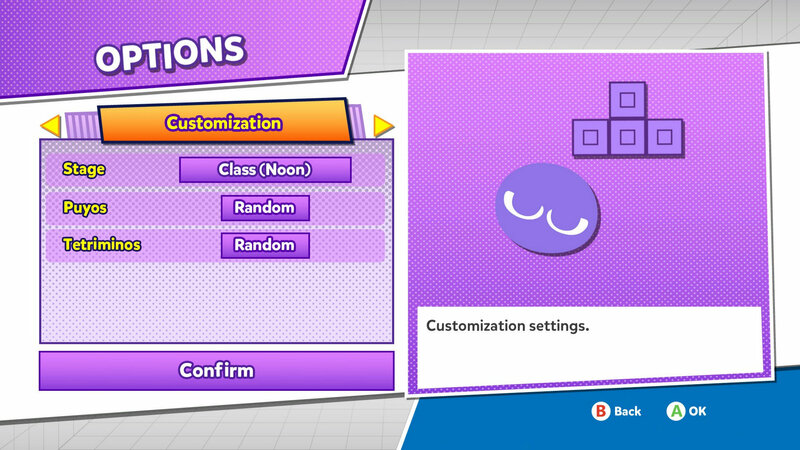 Encouragement also comes in the form of points which can be spent at the in-game shop to unlock customisation options. 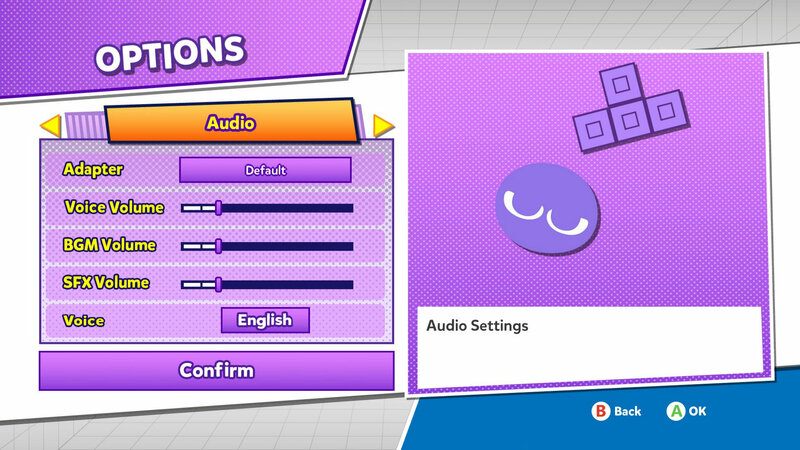 These options aren’t deep, only including custom Puyo’s and Tetrominos, and alternate voice packs, but they’re a welcome bit of change from the defaults. You can do things like have classic Puyo sprites, or turn your Tetromino blocks into pool balls and a variety of other cute icons. 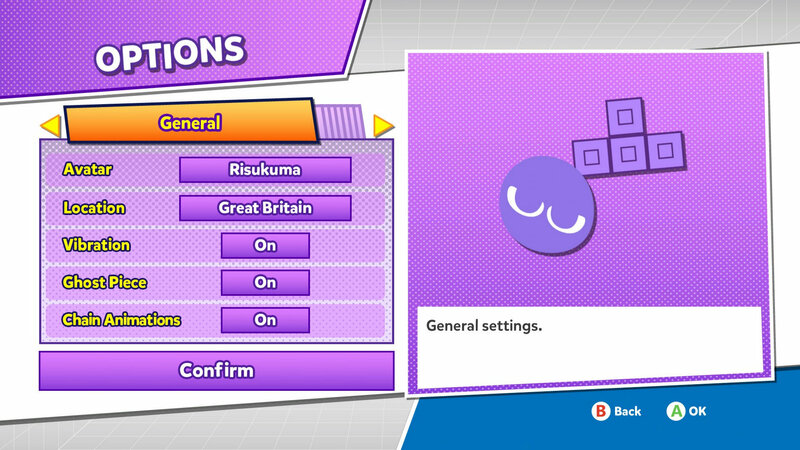 You can also set a variety of other customisation options like BGM and battle background or just leave them set to random for a decent cycle of different aesthetics. 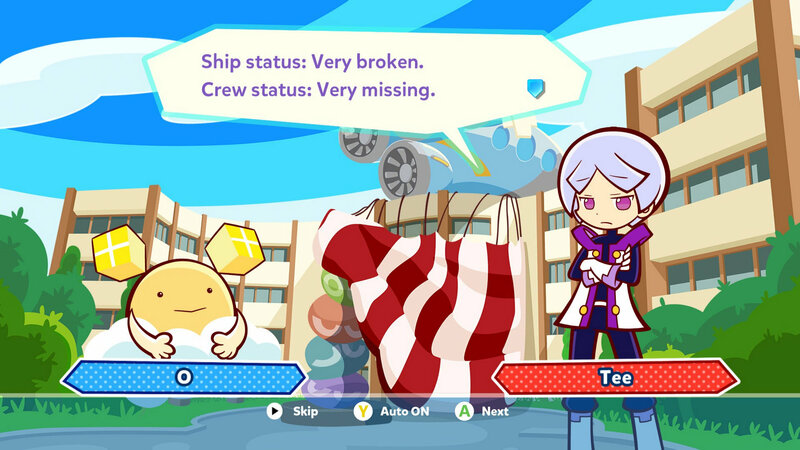 I have to admit that I didn’t finish the adventure mode – we always do our best to finish a game before reviewing it but my skills at Puyo Puyo‘s puzzle-like challenge mode is lacking and I can’t identify the patterns of blobs fast enough to beat the AI the first time this is introduced in act three. 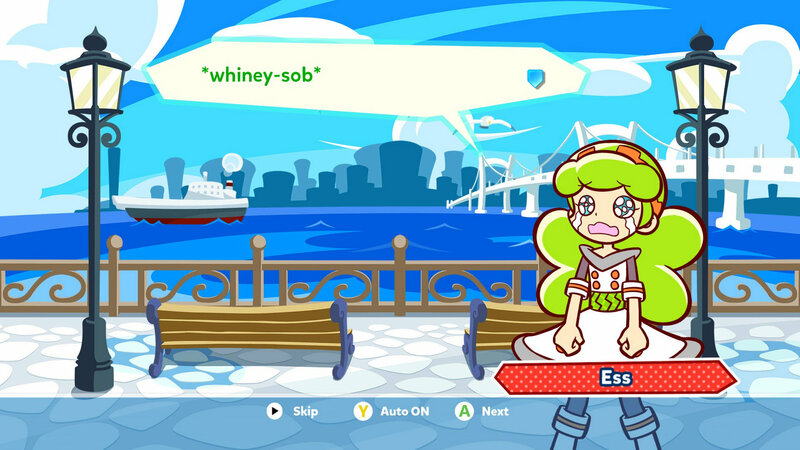 That aside, I’ve had an immense amount of fun with Puyo Puyo Tetris, often booting the game up in the middle of the night while I can’t sleep, or for a quick 5-minute match while waiting for dinner to cook. 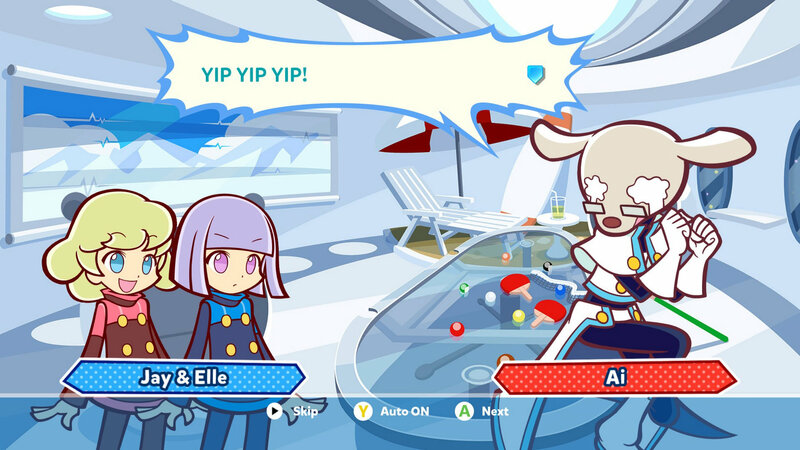 It’s a game that’ll draw puzzle aficionados back in like a multicoloured whirlpool but it never feels like an obsession in the same way that the original Puyo Puyo or Tetris games did back when they were first released on unsuspecting audiences decades ago. 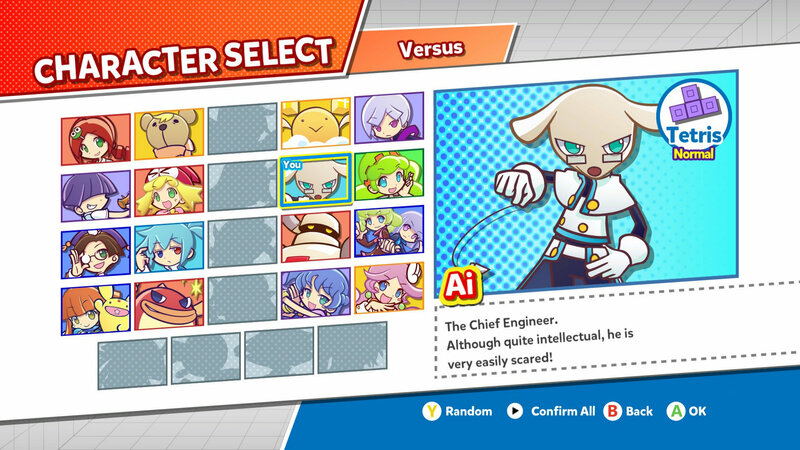 If you love either of the component games in Puyo Puyo Tetris then you’re in for a treat. It’s easily the best iteration of either series since the ’90’s and offers a wealth of modes and options to ensure that there’s always something to take your fancy. The mash-up modes are well designed and provide new tactical opportunities to players of all skill levels. New players are also bolstered by a gradually escalating adventure mode and dedicated lessons that teach everything from the basics to T-spins. 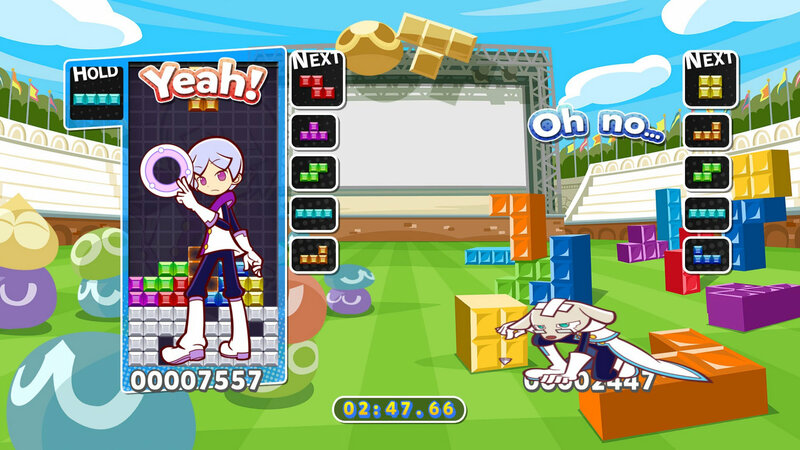 Puyo Puyo Tetris is rarely outright frustrating and colourful aesthetics go a long way to diffusing any negative feelings. It’s almost impossible to not have some degree of fun with it. Mash Up: Bringing two puzzle games together and combining them is genius. Gu-Guu: The adventure mode dialogue is good clean fun and often humorous. 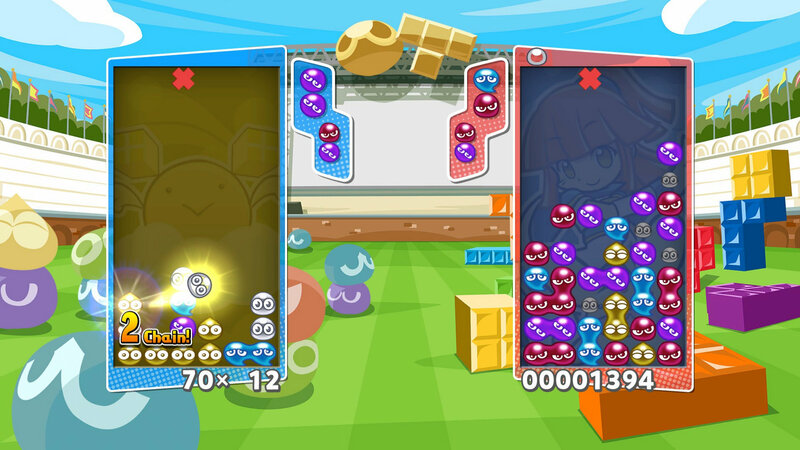 Imbalance: The slight favour given to Puyo Puyo in versus is a minor issue. Difficulty: Straight versus-endurance matches are nearly impossible to win unless you’re very good. Easily the best puzzle game of the last couple of decades. 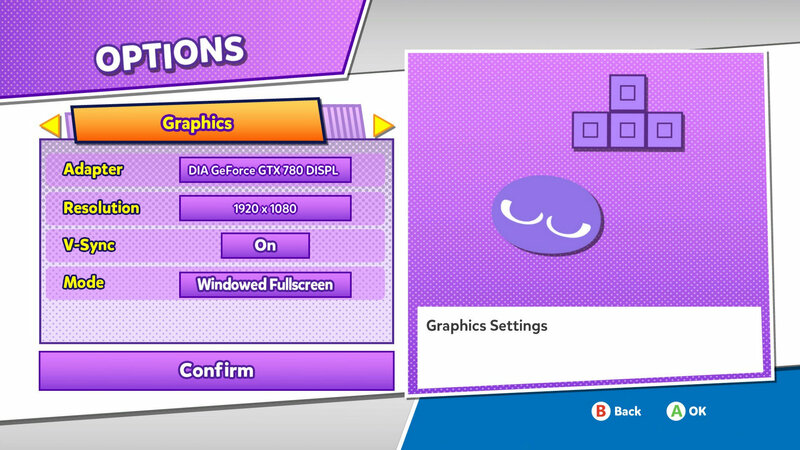 Graphics: Resolution, Vsync, display adapter select, and window mode options are all that's available. Sound: Adapter selection; voice, BGM, and SFX volume; and voice language selection. Misc: Customisation options include; avatar select, Puyo/Tetris skin select, chain animations toggle, and which modes you want to include in Puzzle League matches. 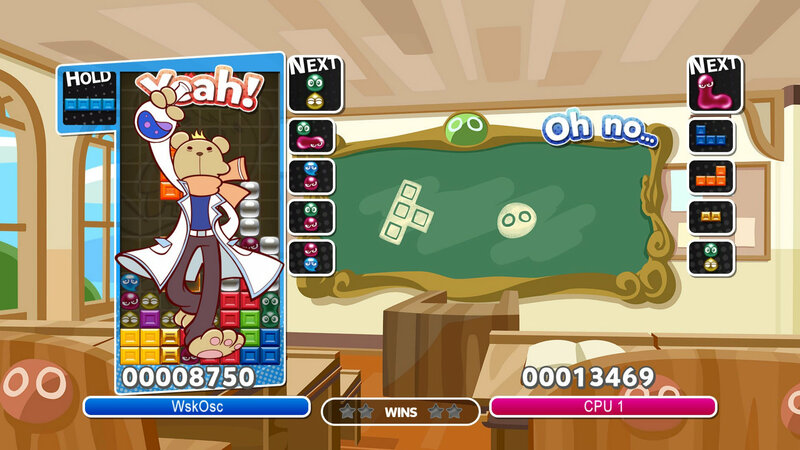 Puyo Puyo Tetris is one of those games that works out to be an amazing puzzle game, but has a massive skill ceiling. The game is soft on you at the start and very steadily increases in difficulty the further into it you get. It’s always getting harder, even if you’re not getting any better. One might say that this is a player fault, but that’s not entirely accurate. Typically, as puzzle games get more difficult you get better at them because it’s training your ability to do the puzzles. This game does not seem to be inclined to give you any of that help towards getting better, which hampers it’s playability for those who aren’t naturally good at Puyo Puyo, or Tetris. I mostly focused on the primary game modes, as some of the others were just there for the sake of novelty and it wore out quickly. The Puyo Puyo side of things are pretty hectic for me, since I’d never played it before and didn’t understand anything about it. I found myself stumbling around and getting mildly lucky as I played it, and I will admit that I had a little fun doing so. However, this did not prepare me for the future games of it I would play. As it got progressively more difficult, I found myself hitting a wall and struggling to survive at all. It takes strategy and tactics that they don’t really explain, and introduces new shapes without warning. I found it hard to enjoy myself even when I did win, as it seemed very much like a fluke where I barely did anything to deserve it. It’s even worse when you play swap or mixed, as they severity of the garbage doesn’t match up well. A triple combo seems to just smash you, where as a single does pretty much nothing. Tetris, on the other hand, is the same as it ever was. 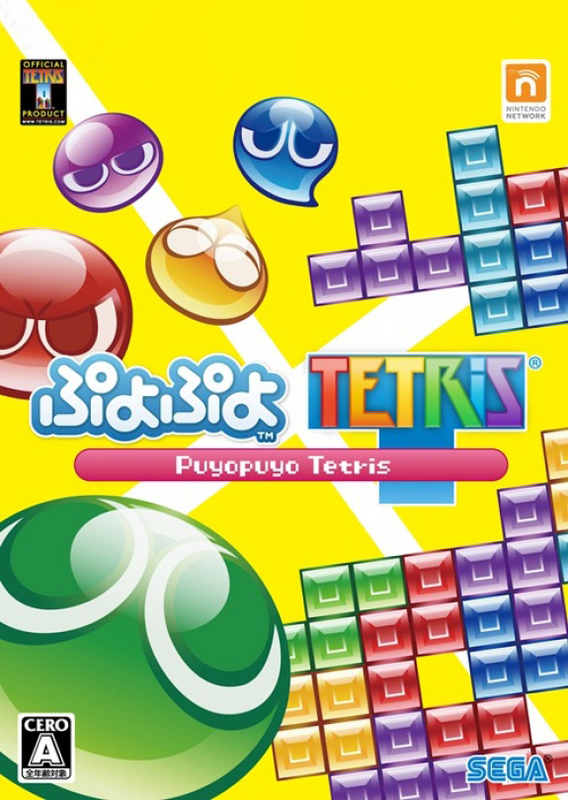 A great game by itself, and outshines Puyo Puyo dramatically, so much so that I found myself wishing I was just playing the old Tetris. Playing against another player in Tetris is still not very fun if you’re not good at it, and I found myself yearning for line and score challenges only. It’s even less fun when you run into an extreme skill gap, which is what happened when I played with my friend. 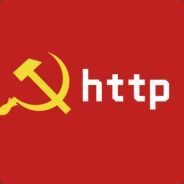 I was literally obliterated every game, and barely caused them any trouble most of the time. It seems little less friendly to people who are better at keeping the board clear with small successes than stacking up huge strikes. Most of my losses were me getting pushed off screen by attacks, or giving up and just dropping them to get it over with. 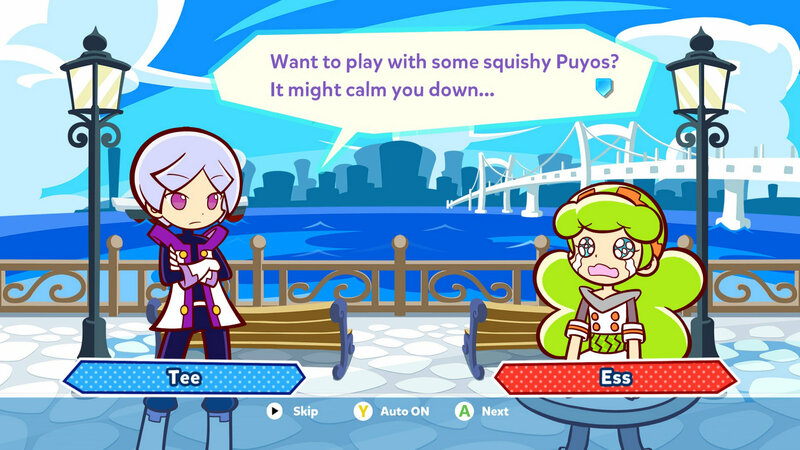 In all, I like Puyo Puyo Tetris, but not enough that I would want to struggle on with it. Lastly, the characters and story, while cute, is largely unnecessary and forgettable for me personally.